As we have created more and more brand programs, from refreshing an existing corporate identity to doing a “bust out the big guns” re-creation of a company’s persona, we have realized an interesting — and very positive — result that is beyond what we originally planned for. Usually, we’re engaged to create and implement a branding program because the client wants more visibility, or because there is new competition in the market, or the target audience has changed, and communications are no longer resonating with them, or the company is growing and the marketing needs to go to the next level to align with new opportunities. All great reasons to rebrand. Not only can the new brand bring fresh energy to the overall marketing program, create a buzz in the marketplace, and attract attention to the company and its products or services, but it can also have a dramatic impact on the internal audiences — all of the staff members who interact with customers and clients. And, of course, that’s where the true character of a brand really lives. 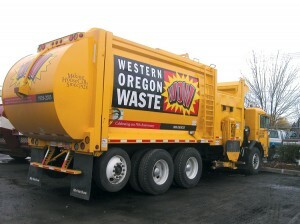 Western Oregon Waste initially renamed and rebranded to merge multiple company names under one name, to save costs and to create a big, bright engaging presence in the communities the waste management company serves. The bright, splashy presence brings attention and recognition to the organization and positive feedback from everyone who works there. They love it! They talk about it. 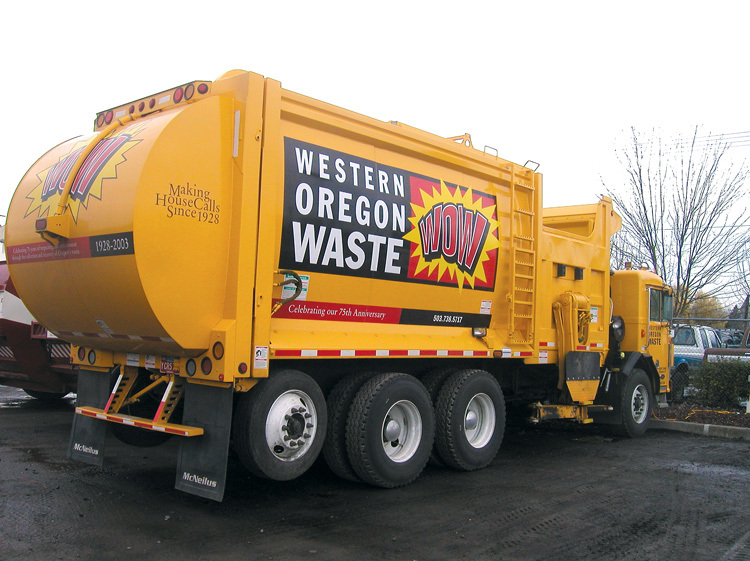 People from McMinnville to Sheridan to Tillamook, in every community served, recognize the brand and smile when they see a WOW truck. Sure, not everyone can be WOW. But for small to medium-sized companies willing to shift from handling everything internally to using a professional branding firm that can envision a brand that up-levels the overall company persona, the results can be impressive. We know … because we’ve seen it. The companies that make the big leap, not just incremental changes, also see a big leap in their success, both internally and externally. It’s a transformational experience. 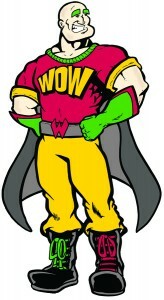 It can shift staff attitudes from disgruntled, confused or apathetic to excited and proud to work for the organization. When an idea goes beyond the expected, the design grabs attention and echoes the company culture, success is achieved. 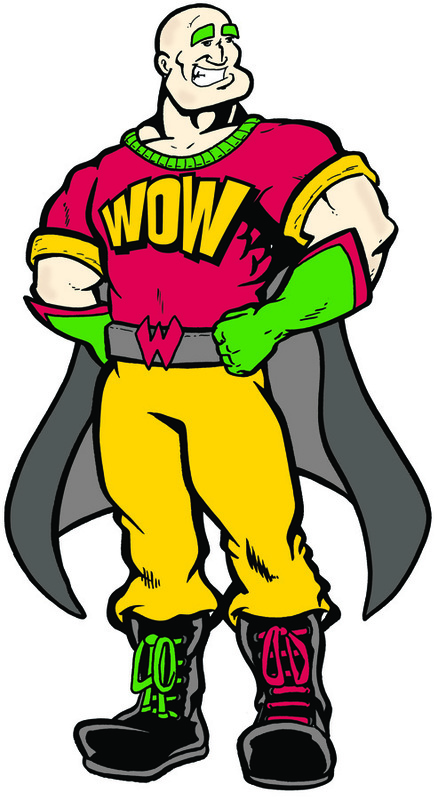 Just ask the WOW Man.